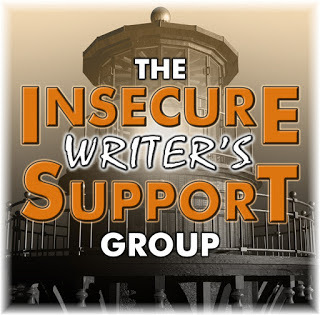 It’s time for another meeting of the Insecure Writers Support Group – IWSG started by the amazing Ninja Captain Alex J. Cavanaugh. 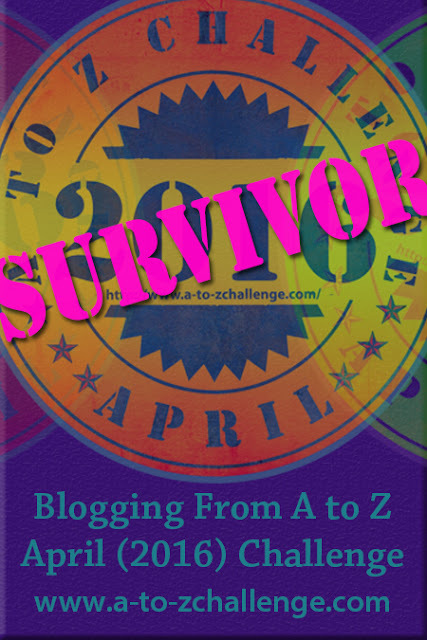 Alex stood out and caught my attention during the A to Z Blogging Challenge this year. 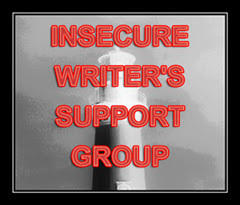 Checking out his IWSG Website, I’ve found writers who are excellent in their craft and don’t mind sharing their weaknesses and strengths to encourage each other. I can honestly say this site is a safe haven for any writer whether secure or insecure with writing. Click the highlighted IWSG if you would like to be a part of this phenomenal group. You won’t regret it. Our purpose: To share and encourage. Writers can express doubts and concerns without fear of appearing foolish or weak. The awesome co-hosts for the August 5 posting of the IWSG will be Nancy Gideon, Bob R Milne, Doreen McGettigan, Chrys Fey, Bish Denham, and myself, Pat Garcia! Having friends as guests from the United States, July started out with extreme pressure for me, which means that I struggled with the fact that I was not writing as much as I desired, which threw me into a boxing fight with myself about ordering my priorities, which caused me to question my own sense of destiny and the path I was taking to get where I want to be. Hypothesis: Writers write. There is no doubt in my mind about this hypothesis when it is used as a reference for what a writer does, but the variables that determine the 'when’ of a writer’s writing time can clog up any novel or blog article or short story. Being at the beck and call of our fictional or non-fictional characters 24/7 for 365 days in the year brings destruction. Don’t believe me? Look at some of those writers who never got pass their first book after it was published. The world waited on a second book, but the first book had imprisoned them and refused to let them move on to write the second one. So, for three weeks in July, I practiced not writing on my manuscripts and articles, not looking at my emails, not even going to my own Facebook, Twitter, and Wattpad, and not working on my own blogs. Instead, I looked at other writer’s blogs, and I read, I mean really read, what they were writing, rather than just glancing through on the way to another blog posting by another writer. 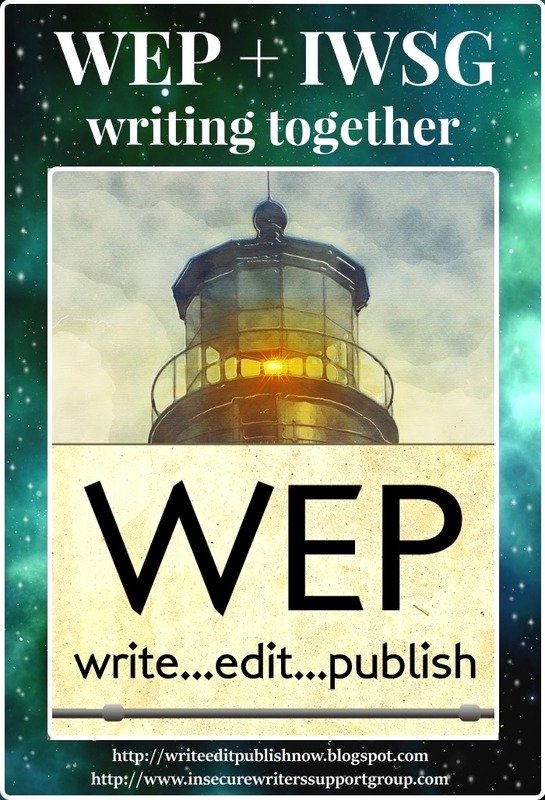 I let what they wrote sink in and juggle my heart and my brain and wrote comments that I hope generated encouragement and let them feel that I cared about their writing. And you know what? It did me sooooo much good! So, what about my hypothesis? It is an inherent belief in my genetic makeup that writers write, however, within me is also the belief that effective writers step back and cheer other writers on. If writers write, then, writers must take breaks. Happy August IWSG Writers! Keep marching. You’re all really fabulous. Yeah, sometimes a writer must collect fodder for the muse; which means attending a normal life and making friends. Nice to meet you Pat. Thanks for co-hosting this month. Thanks for coming my. Nice to meet you too and looking forward to seeing you again. I know that feeling. Looking at others and what they do makes me lose my peace of mind, so i don't do it anymore. I've finally decided that I have enough problems trying to keep up with myself. Look at you in your t-shirt!! Awesome. That was a really cool experiment. It feels good to cheer others on. That's why I enjoy this day so much. And I thank you for giving me the opportunity. Yes, I love my t-shirt. The watchtower design with the light shining is simply cool. 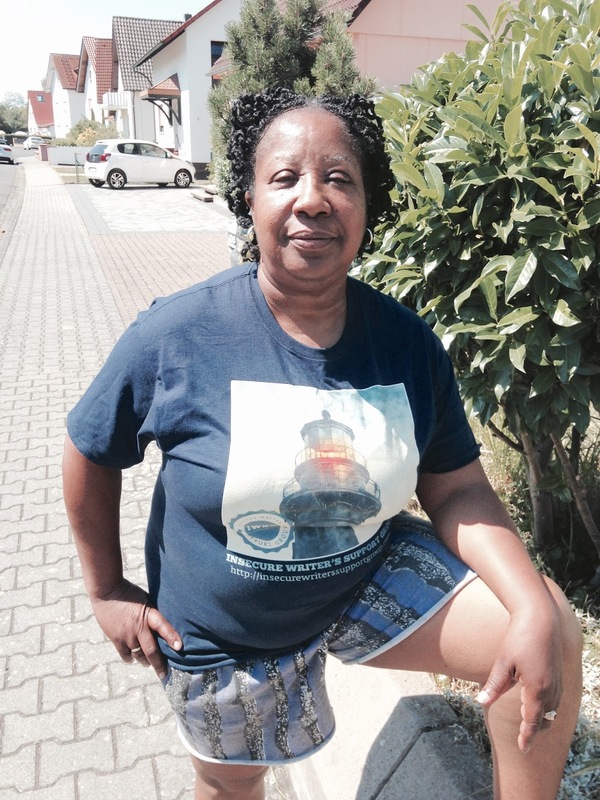 You must be right - you've got the T-shirt!!! I do agree with you that as writers we need to write, but that we also need to take breaks now and then. Thank you for dropping by. Three things dominate my time mostly and those are writing and reading and music. So I have to take breaks. It's necessary. And yes I got the t-shirt. Ordered it the same day it was presented on our website and I love it. I can understand that. That happens sometime. Life throws us a curve ball that we don't expect. Those are the times when you'll find me writing feverishly with my iPad late in night or early in the morning. I've met some writers of fiction that are driven to be writers. They do it whenever. They don't wait up late at night with their characters telling them how to write a piece of dialogue. It used to bother me until I realise that there is something special about a writer who can so much life in their characters that the characters can talk. So I keep learning to not look at others. That's a lesson that repeats itself in my life. So keep letting your characters out. Tell your stories. Burnout comes too easily. Taking a break is essential to our writing and our sanity. Great post. Love the pics. Thanks for being a co-host this month. Thank you. You're so right. Burnout comes too easily. Sometimes it is even slips up on us. Thanks for the compliment about the pics. I love my t-shirt. It's a matter of identifying with the team for me and I appreciate the IWSG team. Hi Pat! Yes, we need to take breaks, refreshment for the soul. And... We must force ourselves to not feel guilty while we are doing that! I love seeing you outside in the sunshine instead of in your office! I absolutely positively LOVE your sweet smile and want to see it more! I love the point you have pointed out about not feeling guilty about taking a break. We shouldn't feel guilty. And thank you my dear for the compliment. You are the second person that has said I need to smile more and I need to check that out. I didn't realise I wasn't. Completely! My issue is going on break for too long...because I really want to just hang out with my baby, but I also want to be online, but I also NEED to write. =) It's so hard to find the balance some days, eh? You know, sometimes we have to take long breaks and especially when we are mothers with babies. There is nothing wrong with that. If I were you, I wouldn't even try to balance because you put your own self under stress. Write when the baby is sleeping if you can. Go online when the baby is sleeping, if you can. Your first priority is enjoying your baby. So hang out with him or her. Those hanging out years go fast and before you know it they are gone. Breaks are good, from anything that you do. You need time to refresh and recharge and reevaluate priorities. In this day and age of constantly being connected and expected to be "working" (no matter what your job), it's easy to forget to take a break. It's why we have holidays and weekends! Agreed. Breaks are good and as you say it's easy to forget to take a break. But it is also hard to take off on a holiday or just relax on the weekend. I had to make myself a rule that says, you will not work on the holiday unless it is a matter of extreme importance and it cannot be avoided. Loving your t-shirt, Pat. Just got mine this week. I was thrilled it actually fit! I also took the month of July off to work on my stuff. Didn't read though. That's what September is for. Thanks for co-hosting. Thanks for inspiring. 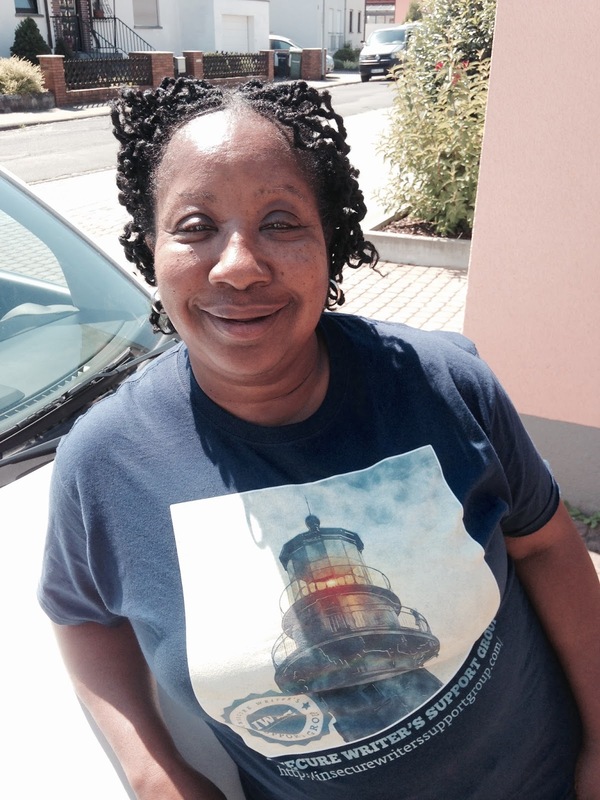 So happy to know that you got a t-shirt also. I love the design especially. Have a great time reading in September. You are so "write" about writers needing to take breaks and not beating ourselves up about it. It's important to stop staring at a computer or notepad and go outside and experience LIFE. That's where the inspiration is, that how we recharge our batteries. Bish, your co-host #128 on the Alex Scale. It took me a long time to learn that breaks are a necessity for a writer. You're so right. Our inspiration comes from experiencing life. Writers write but we write so many different things from blog posts and social media posts to novels and poems. It all counts. And when we write also factors in. But all writers should breaks from their characters from everything online to just live a little. Thank you for dropping by. Yes, we writers write so many different things and all of it counts. That is why it is necessary for us to step back and chill. I look forward to receiving your newsletter. Reading your blog posting finally opened my eyes to the fact that I should consider having one. Good luck with it. Hear, hear. I just wish the breaks were more under my control. These days they are chosen for me by the demands of children, illness, and whatnot. I've got my fingers crossed for a productive fall. I know the feeling. I have someone very close to me who is sick so I am doing lots of adjusting my schedule to go to doctor appointments with him and just be a comfort when needed. So, I've had to become more flexible and I've had to learn to be kinder to myself. Stop being so hard on me. So take it easy on yourself. Do what you can. Don't put more pressure on yourself by saying I'm going to wait until fall. Just do what you can now. 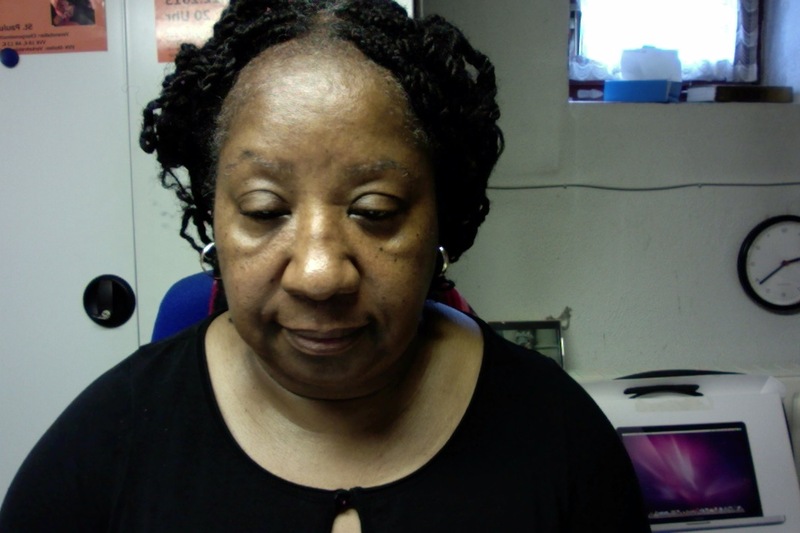 In my downtime yesterday, I spent time learning a bit about blogging and marketing, and reading through new profiles on newer (to me) social media sites. Sometimes that gets overwhelming, so having a few hours to do only that helped me get a grip on where I want to focus. Good for you! I like to take downtime where I sit and read one or two books. That is so relaxing. Yes, it is important to give yourself air to breathe and juice to make the imagination flow. Writing 24/7 is a good way to crash and burn. I'm glad you joined this group! Great hypothesis! This group has a great bunch of people. Maybe it is a group that you would like to join. We post only once a month on the first Wednesday of every month. And thank you for dropping by and sharing your thoughts. Thanks for sharing your hypothesis. And for co-hosting today. I'm coming off a blogging break myself and with the year almost done, I'm raring to go and complete my writing projects and submit some writing pieces. Right On! I like the hear statements like you're raring to go. All the best for all of your projects and your submissions. Awesome! I look forward to the co-hosting collaborations of cohesive creation. Thank you my dear. You know this would be a great group for you to join. We post only once a month on the first Wednesday of the month. Think about it. I love it every time you drop by. I can really relate to this post, Pat. I've taken writer vacations before to clear my head. It's so important! I often say being a writer is like being a mother - it never STOPS. You carry it with you 24/7-365. So we have to control it by stepping out of the office per se. And, I'm a firm believer in encouraging other writers and learning from them. Great to meet you. Thanks for hosting this month. You have hit the nail on the head, "writer is like being a mother - it never stops." 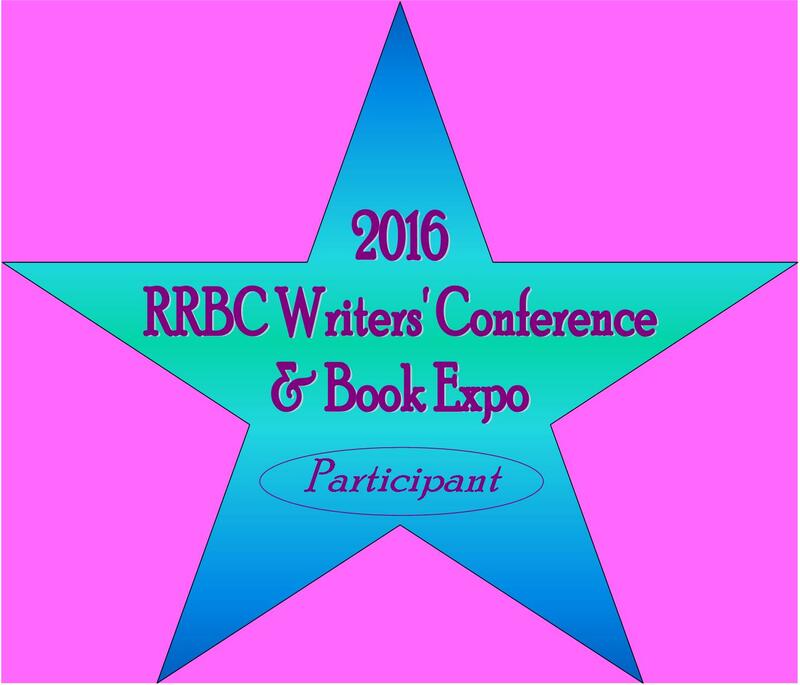 I participated in my first writing workshop last year in Atlanta and what a joy that was. This year, I'm headed to Italy to the Women's Fiction Festival in Matera and I am looking forward to it. So, we have to get out of the office and like you, I firmly believe in encouraging other writers. The pie is big enough for us all. Yes, our mind, body, and soul need breaks. Sometimes I push things to the side and focus on reading, exercise, or family time to re-center. I come back more energized, happier, and more productive. Right On. That is so good to hear. It has taken me a long time to get to where you are, but now that I am there, I feel the difference when I am writing. I have more energy and my inspiration is strengthened. What a thoughtful way to take a break from writing. The teacher in me loves it. You look great in that T-shirt. I love mine. And you are a very wise woman. I took a short week break from my writing last week and it left me really energized to get back into it. Thank you. I love my T-shirt. I find the blue to also be a very nice colour. Thank you also for your compliment. We gain our wisdom through our life experiences and opening ourselves up to others. What little wisdom that I do have I want to pass on. it doesn't do me any good when I am dead. I've found breaks are good, especially when you're feeling burned out. I really like this experiment of yours. Maybe I'll give something like this a try. Breaks are good for us as you have said. I found myself being pressured by my own drive to be Ms. Perfect and do it all and realised that that wasn't going to work. I am glad I did come to that realisation, because I had a wonderful visit with my friends and family and I learned a lot by taking the time to really read the writer blogs that I follow. Yes, we writers write. Yet we are still writers, even when we are not writing. Letting go of the past work is important, or getting trapped is certainly a risk to future wonders. Thanks for co-hosting IWSG this month! Thank you for dropping by. Yes, letting go of past work is very important. Too many writers get caught up in the past. I often take breaks from working on a manuscript to just live my life and get refreshed. This usually happens after a book comes out and it always bothers me that I can't seem to jump right into another project. I forgot about the ISWG this month, so I"m going to hurry and go write my post. I found yours very inspiring! Thank you so much for dropping by and sharing your thought. 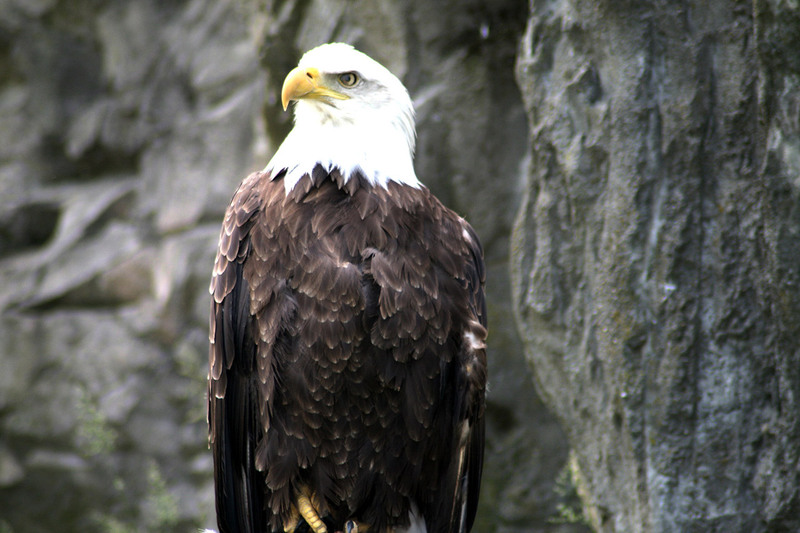 I will drop over and read your post. I also find it cool that you take breaks when working on a manuscript. That's great. I take breaks all the time, but then I usually busy myself with something else. My focus shifts. Sometimes I spend too much time reading other people's work and not my own and vice versa. I'm currently seeking balance. I think if I can find balance, rest will fit in there somewhere. Fantastic that you read other people's works. That is so important. As for balance, now that's another thing. It is hard to find. Wonderful post, Pat. Yes, breaks are necessary for a writer. Breaks provide new ideas, expand our writing horizons, so to speak. Whatever we do when we don't write eventually becomes food for our writing. Yes, yes, yes! I like what you say about breaks, and especially your last sentence, "whatever we do when we don't write eventually becomes food for our writing." Love it. I think I hop around crazy enough that breaks are unavoidable. It always feels like I struggle at focusing on just one project. I guess I'm breaking from one thing to jump to another. I know exactly what you mean. I didn't realise how much I was glossing over until I took the time to really sit down and read what was being written. I've made my mind up to do it more often because I gain from the practice in more ways than one. This seems to be an amazing group Patti. Thanks for sharing! What an interesting post!! You're great! It is an amazing group and it may be a group that you're interested in. We post once a month on the first Wednesday of each month. 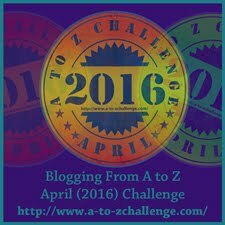 I personally am glad I joined the group after the A to Z Blogging Challenge this year. Think about it. Thank you so much for dropping by my dear. It's amazing what you can learn by reading other people's blogs. Let your mind clear, and you'll be ready to come back all refreshed, ready to write. Thanks for co-hosting this month's IWSG. I am always surprised when I read other people's blogs. Concentrating on what someone else writes frees my mind and when I get back to what I need to write, I am refreshed. I think it's good to sit back and soak in some fodder from time to time. I always read something on craft between major projects. Sounds like you made productive use of your non-writing time. Yes, I did make good use of my non-writing time but I have to admit that I didn't think so at first. It was only after I started reading other's blogs that I began to realise it. Good to hear you read something about our craft between major projects. That is another thing that I like to do also. Sometimes giving your brain a break from writing really helps! Amen! it helps tremendously when we give our brain a break. Thank you so much for dropping by and sharing your thought. Thank you so much, and I am glad you're taking a break. It is so nice meeting you. Thank you very much and thank you for dropping by. Thank you so much for dropping by and I too wish you the best in your writing. Thank you for being a co-host! Downtime is so essential, and I am soooooo happy that I learned it. Thanks for co-hosting! I find reading other writers' blogs is really inspiring. I feel the same way. Reading other writers' blogs is very inspiring. I know I am inspired by other writers to write better after reading their stuff. I love the conclusion to your hypothesis. I agree! Thanks for co hosting. Thank you so much for dropping by. I am almost always inspired by others writing. Great point! Just as with any job, hobby, or calling, you must take a break sometimes to be truly effective and to take care of yourself. Thank you for co-hosting! So true. I don't know where we writers get the notion that we are not allowed to take breaks. I love this! For awhile I bought into the whole writing 24/7 thing, because everyone seemed to be bragging about word counts and I felt like I had to keep up. But now I find that my writing is so much better when I step back from time to time. And taking a break is my go-to when I'm stuck on how to fix a plot hole. Right On! I know the feeling. I let myself also get push in a peg that didn't fit because I was listening to others bragging about their word counts and working on social media and I thought, where do they get the energy and how do they do it. I stepped back and decided that I didn't want to be 24/7 for 365 days in the year because I was a writer. It is amazing how inspired I have become. We need to take breaks. Yes, I am learning that the more you give, the more you gain, and I agree, it is very effective. Dear Patti, first and foremost, thank you for your insightful article. To me, writers write is more of an axiom than a hypothesis. But true writers spend considerable time reading. Probably every writer will agree that she began writing after absorbing tons of good literature, and that she still reads as a must of her craft. So true. True writers spend a considerable amount of time reading and absorbing good literature to develop their craft and maybe they read some bad literature to experience methods they do not want to use. Reading is one of those grassroots fact for me because it is my belief that any writer who wants to write books that leave footprints in our society knows that he or she has to be a lover of words and a voracious reader of literature. Thank you for sharing your thoughts and it was so nice to see you here, my dear Sister. Yes, taking a break is so important! Great hypothesis - thanks for sharing. It was indeed a wonderful experience not concentrating on what I do, but reading what others write. It was refreshing and I learned much. I am very happy that I did it. That is another healthy way of looking at writing. Sometimes I go overboard and have to pull myself back in. If we never took breaks, we'd probably lose our minds. Absolutely. Breaks are so necessary and I have had to learn that. I get wrapped up in a project and my breaks sometime fly out of the window. You rock the #IWSG t-shirt! I agree that it's important to recharge one's batteries! Thanks for co-hosting #IWSG!! Thank you so much for dropping by. I am glad I have learned to recharge. It does make a difference. Then, take time to recharge, even if it is only for on a four day weekend. I really needed to recharge and I am so happy I did take a break. So true. I have taken up to a year long break. Priorities needed to be juggled. The first time I took a 'break' I was terrified I'd lost the passion. That I'd been fooling myself that I was writing a novel. When I did return to continue the story, it all came back, just as strong as before. Breaks, yes, they are essential for the sake of one's health and, even perhaps, for the sake of the story. Blessings. Good for you. Sometimes we have to drop out and find out where we are and in which direction we're going. Especially when it comes to writing a novel, it is so important to have a fresh take on your story. So, I've planned more breaks for the future already. 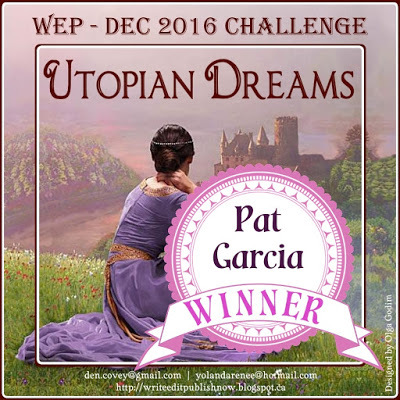 Hello Pat, You have reminded me of something I did without fail in the early days of my writing life, but have neglected to do in the last few years. I am first and foremost, a performing musician, and for a while that was not available to me, due to a motor disorder. I still had some sort of muse that demanded some kind of creativity, so I turned to writing; something I had done with a bit of gusto in college. Once my motor disorder was diagnosed (essential tremor, easily treated and managed, and I am able to play viola again) I went back to my viola and writing went to the back burner, although I wasn't satisfied with that, because I do enjoy it. I became a bit lazy, though, and cut out all that bothersome reading of other people's blogs and absorbing other information, so that my own writing became a bit, er, one-note, shall we say? I really do not like to do anything in a slap-dash manner, but do at least like to attempt to try my best, although I am a bit oblivious at times as to why things stop working. 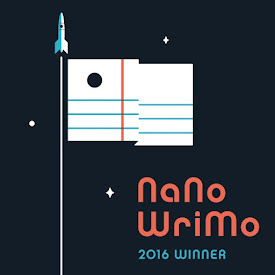 The novel I wrote was one that I burped up during 2013's NaNoWriMo, and while I'm not ready to euthanize it yet, it definitely needs major surgery; plotlines appear and disappear, as do characters. Name changes, as well as gender changes are rampant. Lots and lots of philosophizing about the meaning of life to cover up the fact that there is NO life in the thing go on for pages and pages. It might be great satire in some far-off century. Who knows? So, you're a musician also. So am I. My heart floats between writing and music. It cost you lot of strength and hope to get back to performing again. I know because I too had a 3 year break before I returned to the stage as a singer. I am very happy that you can play again. Thank you so much for dropping by and sharing your thoughts so completely. Wow. Look at all your comments, Patricia. Fabulous. I agree, writers need the nourishment of daily activities, meditative breaks and the reading or other really good writers. I write regularly, have for years, but I don't write all the time. At least not on the page. Much of my writing is done in my head -- the genesis of stories from what I've seen and heard, from the ambience of my environment. I don't get overly attached to my characters, whether fictional or nonfictional. They're around, but they don't control me. I'm too curious about everything, so my mind is thereby open. Love the photos of you. You look serene and happy. Like you, a lot of my planning and plotting begins in my head or I'll find myself writing things down in my notes app or evernote. However, I do get attached to my characters and when I have to kill them, i sit at my computer with tears in my eyes. But I know they have to die any order for me to progress further, so I don't have a hard time killing them. Just don't like feeling the pain. Thank you so much for sharing your thoughts here, and thanks for the compliment. I think the IWSG T-Shirt is marvelous. By the way, I am serene and happy. There's a quietness settling in and around me that gives me a joyous feeling. Sometimes we all need times to step back and take a breath. Otherwise we wouldn't have anything to write about! The trick is giving ourselves permission to do that and not feel guilty - or insecure. Listening to what others do is definitely a great use of this time. Well said. The trick is giving ourselves permission. We often battle with guilt and not feeling that we deserve a break, but we do. Hello Pat. Tell me why I haven't met you before. My loss. It's so lovely to meet you this IWSG week. 'If writers write, then, writers must take breaks.' Yes! It's wonderful to take the time to read blog posts properly and not just skim read. I've learned so much by doing this. I may not get to as many blogs, but I learn a lot. We have to get over the guilts. I've never believed in writing every day, although I probably do in one way or another. I'm adding you to my blogroll so I keep up with your posts. You know I thought the same thing when I read your quote from Annie Dillard. I love that quote. Give it! Give it all! Give it now. I so agree with you about getting over our quilt complex and thinking that we don't deserve a break. Personally, I don't write on my manuscripts everyday, but I do find myself writing because I look at blogs and try to leave meaningful comments. So, I consider that writing. Thank you so much and I have you also on my blogroll. Yes! Such a lovely and true sentiment. I've found the vast majority of my fellow writers to be supportive and encouraging, ever helpful. But even so, we do need to take vacations from it periodically. Thank you so much for stopping by. Yes, I too have found the majority of my fellow writers to be supportive and encouraging. That is a blessing. Thank you so much for sharing this thought. It's nice to take writing breaks every now and then. I spend a lot of my breaks reading. 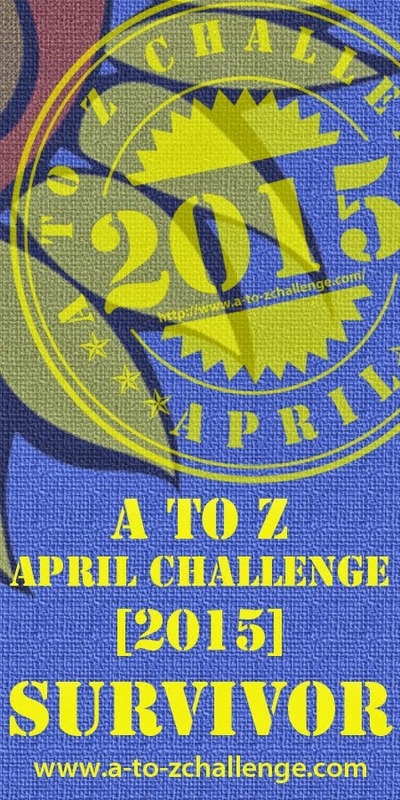 I'm sorry it has taken so long to say thanks, but I've been preparing for a writing contest. Breaks are necessary and I'm finding that out. Like you, I spend a lot of my breaks reading, but I also take the time to look at a good soccer game. I found this encouraging to read. Interesting the burn out after the first book.There is so much pressure to publish and do so perfectly. I've appreciated the support of other writers. It's still amazing to me. I'm late making the rounds, but I wanted to thank you for co-hosting and sharing your thoughts. Thank you for sharing your thoughts. I haven't had my first book published yet, but I can imagine that the burn out is tremendous. I believe that is one of the reasons why networking with other writers is so essential and also having three or four friends with whom you can bare your soul too. Thanks for co-hosting and visiting my page! That is great advice, it's good to take a break once in a while and enjoy reading. It has been very encouraging to me to find that there are a lot of writers out there who share common interests, values, and insecurities. I also like reading fiction and examining the writer's techniques and character development. Thank you so much for dropping by and sharing your thoughts. One of the most encouraging things that I've discovered in my writing career is that writers have certain things in common when it comes to insecurities. I'm not out there alone and that is good to know. Yes! This is SO true. It's important to write but we also need time to recharge and just live life and be inspired. I'm sorry that it has taken me so long to say thanks, but I've been preparing for a writing contest. Thank you so much for dropping by. Yes, we do need time to recharge, and as writers we sometimes forget that, because our muses spur us to keep going. Sometimes, it is necessary to take matters in our own hands and tell our muse or whatever feeling we have that makes us keep striving, to sit down while we take a break.